It is always interesting to us how changing a small detail can have such dramatic effect. This keeps all the traditional messages of the diamond engagement ring. 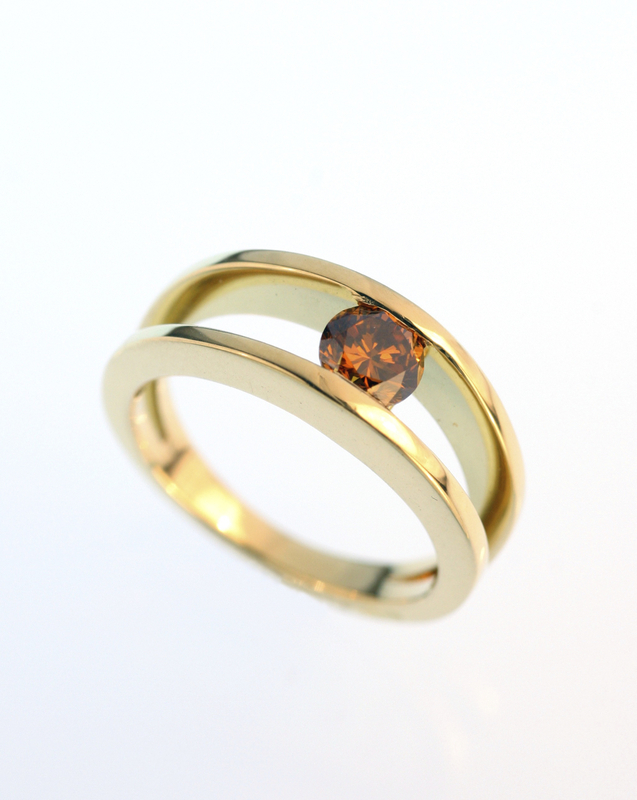 But the colour change to yellow gold and a beautifully coloured diamond gives a distinctive alternative take on tradition. It makes a bold statement yet is still subtle and sophisticated.